For not only compliant measurements to IEC 61671-1:2002 for accurate Noise at Work Assessments, but also a whole host of Environmental Assessments, the dBAir Safety & Environment is the latest multi-application Sound Meter from Castle. 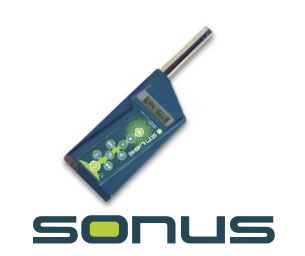 This is the only instrument you’ll ever need, making it the extremely popular choice with Safety Professionals and Environmental Health Officers alike. For not only compliant measurements to IEC 61671-1:2002 for accurate Noise at Work Assessments, but also a whole host of Environmental Assessments, the dBAir Safety & Environment is the latest multi-application Sound Meter from Castle. 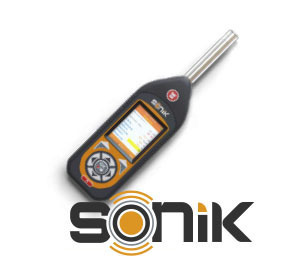 This is the only instrument you’ll ever need, making it the extremely popular choice with Safety Professionals and Environmental Health Officers alike. This is the top of the range Castle dBAir Sound Meter. Designed, manufactured and supported by Castle Group Ltd, this Safety & Environment Octave Band Analysis dBAir Sound meter is the ultimate sound meter for all your required noise assessments. Coming as standard with both 1/1 and 1/3 Octaves, this dBAir Safety & Environment Octave is equally equipped to carry out Octave Band Hearing Protection Assessments, as well as 1/3 Octave Tonal Noise Assessments. 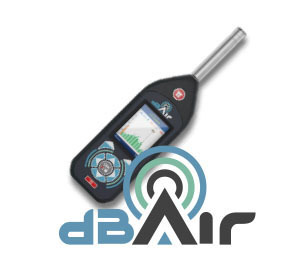 For Safety Professionals, Environmental Health Officers and everything inbetween, the dBAir Safety & Environment Octave is the premium Sound Meter at an inexpensive price.